Described as an artist of "prodigious imagination and intelligence" by the New York Times, Jill Sigman makes art at the intersection of dance, visual art, and social practice. An artist's book that explores the ability of art to engage and alter our reality, Ten Huts documents a series of site-specific huts hand built from found and repurposed materials, ranging from the mundane (e-waste and plastic bottles) to the bizarre (circus detritus, moose bones, dental molds, and mugwort), in landscapes as varied as industrial Brooklyn and the Norwegian Arctic. 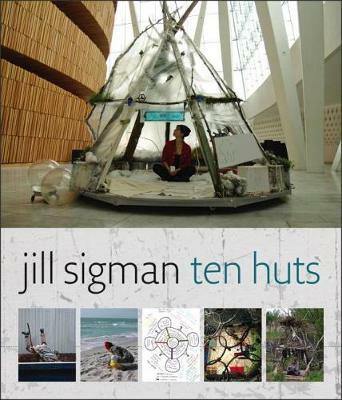 Each of the extraordinary huts in this book is a structure, a sculpture, and an emergency preparedness kit which raises questions about sustainability, shelter, real estate, and our future on this planet. An essay by the artist and and five short scholarly pieces provide multiple entrance points to the work and link issues surrounding choreography, waste, environment, and society. Includes essays by Andre Lepecki (performance studies), Matthew McLendon (art history), Elise Springer (philosophy), Eva Yaa Asantewaa (dance), and Thomas Hylland Eriksen (anthropology). Includes 473 color photographs.